Discussing about shisha, you will imagine a group of friends gathering at a restaurant or café happily smoking shisha. It is a common scenario nowadays and has become a trend especially among young people. For youngsters Shisha use may be exciting, glamorous, fashionable and enjoyable. Shisha comes in different shapes, sizes and colours. 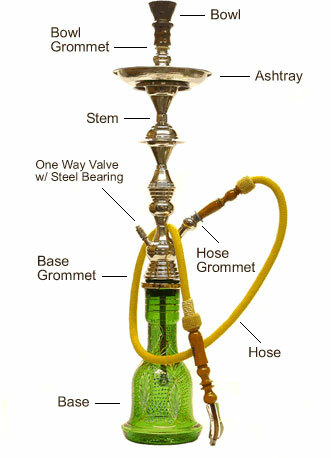 Essentially shisha structure consist of the bowl, body, hose and grommets. There are many choices of shisha tobacco combination depending on the preference. The tobacco is soaked in fruits shaving such as grapes, strawberries and apples as well as in honey. This sweetened and flavoured tobacco is called moassel. When this tobacco mixture is lit, it gives aroma of burned sugar and is popular among youth. The moasselis placed in the bowl and the bowl is covered with aluminum foil. Small holes are made on the foil. A hot coal is placed on the foil to heat the tobacco. The smoke produced is passed through the water as a filter. When sucking from the hose the smoker ends up inhaling a combination of water vapor and smoke. Bowl: The ceramic container that hold the shisha while it burns. It has holes in the bottom for air/smoke to pass through. Plate/Tray: Holds hot coals for later use, catches ash as it falls off burning coals. Hose: The bendable tube that carries the smoke from the base to the smoker. Jar/Base: Holds the water at a level the stem can access; secures the rest of the hookah. Is shisha a modern way of smoking tobacco? Shisha smoking originates more than 300 years ago. Some says it originates in turkey and some says in Syria or India. It was introduced as an alternative to cigarette smoking when tobacco was introduced. In India it used to be a status symbol for Indian aristocracy and gentry as it was popular among nobleman. Among the Arab’s, people smoke as part of their culture and traditions. Is shisha safer to smoking cigarette? Nicotine reaches the brain in only about 10 seconds after inhalation. 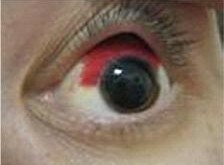 For this reason, addiction can occur after even a few sessions of smoking shisha. Unpleasant withdrawal symptoms from stopping shisha smoking include irritation, fatigue, headaches, tingling and depression. Tobacco contains the addictive drug nicotine. A single session of shisha smoking for about 60 minutes is equivalent to smoking from a pack of cigarette. Nicotine is not water soluble therefore the water filter has no effect on reducing the amount smoked. Burning of the coal produce carbon monoxide plus other heavy metal which are carcinogenic. Infectious diseases like tuberculosis and hepatitis, hepes, aspergillosis and helicobacter infection. Sharing the mouth piece as commonly practiced in shisha smoking, has the risk of transmitting these diseases. Chronic diseases like chronic obstructive pulmonary diseases (COPD) and heart disease. Pregnant women who smoke carry the risk of delivering low birth weight babies. Danger to second hand smokers. People around you who do not smoke shisha still inhale some amount of smoke while you were smoking and they are called second hand smokers. They carry the same risks of getting all the bad effects from smoking. You may want to try new things for the fun of it. But do not let curiosity kill the cat. Always get correct information on the new things you want to venture. You can get information by surfing the net, asking your teachers, parents or go to the nearest health centres or clinics. You have started smoking? 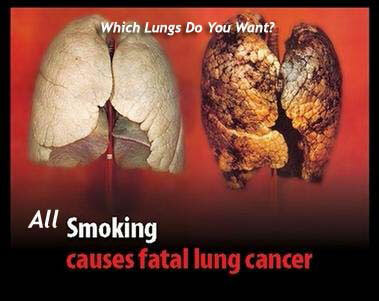 It is never too late to stop smoking. After each year of not smoking your risk of the bad effects from smoking get lesser and lesser. If you can’t do it on your own and need help, go to the nearest health centre and they can help you to quit smoking.